Please list any leadership programs you have participated in, besides FOCUS programs. Include dates. Please list no more than 5 civic/community organizations that you are or have been a part of, including dates. What specific skills, knowledge or experience would you bring to this class of Impact Fellows? What personal or professional outcomes are you hoping to achieve through participation? The 2019-20 class of Impact Fellows will work on issues related to workforce development as seen through a racial equity lens, with a specific focus on employment as a factor in avoiding criminal justice involvement and incarceration. Please talk a little about why you think these issues are important for the region. 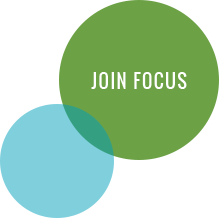 How did you hear about FOCUS Impact Fellows? My employer supports my participation in the 2019-20 Impact Fellows program and all program days. I am willing to make the August to May commitment for the 2019-20 Impact Fellows program.